The Market Depth Cumulative Indicator also includes the Market Depth Cumulative Difference to keep track of the total bid/offer difference throughout the day. By default, the indicator is reset at midnight. The reset time is an indicator that can be changed as one of the inputs. 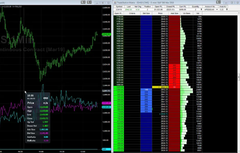 This indicator can offer trends within the order book and to determine potential inefficiencies in the market. 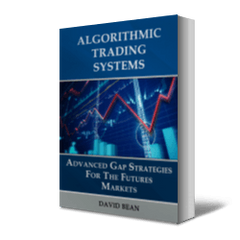 An efficient market will typically show a "balanced" order book. As traders, we look for inefficiencies in the market. Market inefficiencies can show up in the order book when the order book becomes "imbalanced". 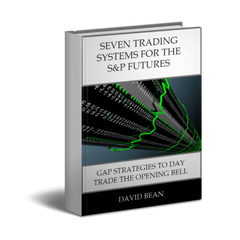 This indicator can be used on any futures market and requires Level II data. 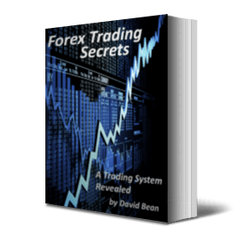 It can also be used on any timeframe as it tracks information based on a closed bar basis so 1 tick to 1 minute timeframes are recommended.